The Father says today, there is nothing to fear. The fear of the Lord is clean – every other fear is unclean. Fear of failure, fear of lack, fear of disease – these all arise from a mentality of uncleanness. 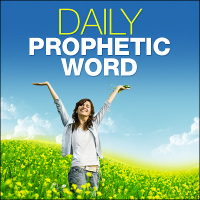 You are not unclean, says God, for you are cleansed by the word that I have spoken unto you. Receive the word of your redemption. I have redeemed you from the fear realm and translated you into an environment alien to fear and foreign to loss, death, and pain. Receive it. Stand up in your faith and shake off the dread that seeks to swallow you up. Stop waiting for the enemy to pounce upon you and steal your blessing. The enemy can no more take from you than he can steal from Me because you are in Me and I am in you. Come into the high tower of My name, says God, and be safe from every threat. Does the enemy breathe out threatenings against you? Just laugh – because he can take nothing from you that I will not restore tenfold. Just grin and know when the enemy does his worst, I will do My best, and you will be left smiling and praising because the answer came and deliverance is your portion. Thank you dear GOD for JESUS CHRIST your son who has redeemed us from every curse & attack of the enemy through the PRECIOUS BLOOD & FINISHED WORK AT CALVARY & YOUR POWERFUL WORDS. THANK YOU DADDY GOD THANK YOU!